Writing completes me. The process of revision gives me a profound sense of visceral satisfaction and joy. As I’ve been working on Perceval’s Secret this week, I finally feel immersed in the revision process. And amazed at my writing. Some sections strike me as naive and immature in their logic. Other sections have blown me away with their subtle nuances and layered meaning. Getting to know this novel again is like being its therapist. These feelings have triggered more thoughts about publication. I’ve realized that if I could, i.e. money were no object, I would be quite content to write everyday for 8 hours for the rest of my life. I love the process, especially revision. Unfortunately, life intervenes, often in a brutal way. Hunger is no fun. Been there, done that. Back on May 14, 2011, I explored from the accomplishment of craft angle what publication means. I continue to agree with all those thoughts. Some writers write for publication in order to earn money. Publication can mean a paycheck. I’d be even more of a fool than I am to pretend that I wouldn’t love to be paid for my creative writing. But money isn’t everything, or at least not everything that matters. I write for myself. I write to learn about the world, people, life. I write to learn about my imagination. I write to learn about my mind and my abilities. Writing is a job but much more for me. My fictional characters are like real people to me, real friends (or enemies). When I write, I’m telling the story to myself. Publication, then, is sharing the story but also a piece of myself with it. Publication is about reaching out to people who I hope will want to read what I’ve written and making connections with them through the characters’ stories. Readers can spot dishonest writing, too. So, I must honor my own high level of integrity when I write because dishonesty will push readers away. The fictional stories I write are not autobiographical. What I share, what any real writer shares, goes beyond mere events and relationships in my life. I’m sharing my imagination, what’s important to me, as well as a little bit of heart and soul. I decide each week to publish an essay at this blog. 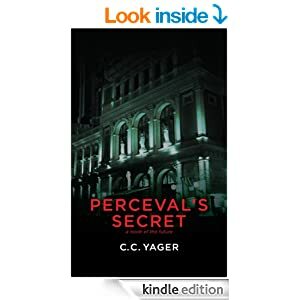 When I decide to publish Perceval’s Secret, I’ll choose sharing, reaching out and connecting. I can only hope the readers will want to read it. The US Post Office made the news this past week regarding office closures. This venerable service teeters on the brink of bankruptcy as a result of delivery competition as well as internet competition. This past June, I wrote about the loss of real letters in our communication lives now and how that will affect historians in the future. The USPS needs to make changes in the way it does business, what it charges, and for which services. If it needs to go through a re-structuring bankruptcy in order to accomplish this, so be it. How does this affect writers? Many agents and publishers still require writers send submissions by regular mail. USPS has delivered my full manuscript also for a very reasonable rate. I can imagine a time when I must pay much more for them to deliver my manuscript to an agent or publisher. Will UPS and FedEx compete? Of course they will. I just hope that it will continue to be possible to send letters and documents by mail confident they will arrive on time and in good condition. It saddens me that the USPS is going through these “growing pains,” forced to discover what role it can play in the future. It saddens me that postal workers have received pink slips this past week. But I do not believe the USPS is obsolete…..